When you suffer an injury because of someone else’s negligence or reckless actions, the law provides you with recourse. With a personal injury claim, you can hold negligent parties accountable for the harm they have caused and recover compensation for your injuries. The experienced New Jersey personal injury attorneys at Fronzuto Law Group have dedicated their careers to helping people like you. We are a passionate team of advocates who believe in the power of the law to deliver justice for those injured through no fault of their own. If you or someone you love suffered serious injuries resulting from another person or organization’s negligent actions, or lack thereof, now is the time to find out what you can do. We understand that your injuries affect every part of your life and may prevent you from wanting to face yet another challenge. Let us take on the burden of fighting for the compensation you need to rebuild your life while you focus on taking care of yourself and your family. An experienced personal injury lawyer can serve as your greatest asset throughout the legal process, ensuring that you are informed, supported, and aggressively advocated for. Our attorneys are committed to doing just that. At Fronzuto Law Group, we invest in our clients, operating under the principle that your interests and concerns become our interests and concerns. Our mission is to provide exceptional service and representation through continued responsiveness and engagement. By cultivating an intimate atmosphere and purposefully limiting our case load, it is our goal to communicate to our clients that they are our priority. Contact us today by calling 973-435-4551 or toll free at 888-409-0816 to discuss your injury claim. You can also contact us online to arrange a free consultation with our knowledgeable New Jersey personal injury lawyers. 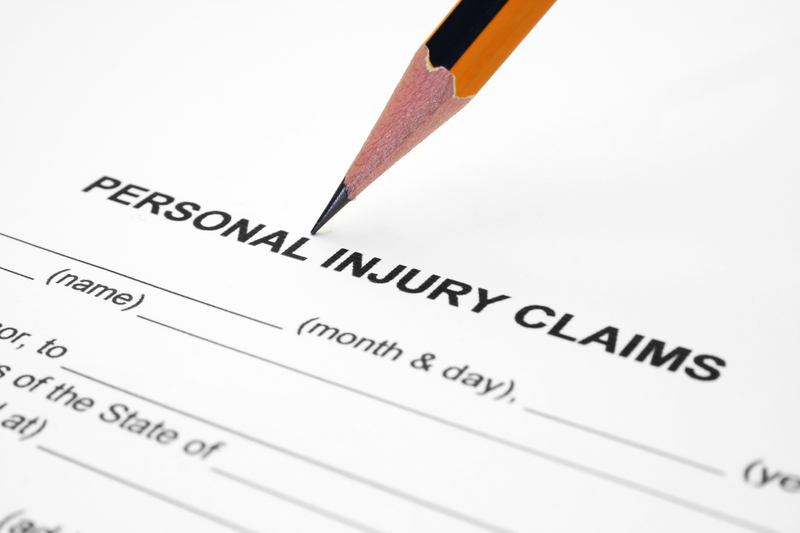 What is Personal Injury under NJ Law? Personal injury encompasses any physical harm sustained by a person’s body. While personal injury is a relatively general legal term that includes the mental and emotional consequences of an injury, it does not include damage to an individual’s reputation or property. When you bring a lawsuit against someone else because they are responsible for the injuries you suffered, this is known as a personal injury claim. The person seeking compensation in a personal injury action is known as the plaintiff, while the person or party facing the lawsuit is known as the defendant. In order for the plaintiff to recover damages, the defendant must be found liable. Let’s take a closer look at some key personal injury terms. What is Needed for a Personal Injury Lawsuit? There are three primary facets of a personal injury claim: injuries, negligence and damages. The injury part is rather self-explanatory. In order to file a personal injury lawsuit, you must have suffered injuries. Second, the person or organization who becomes the defendant must have acted negligently. Negligence: Who is at Fault? Negligence means failure to take proper care. In a personal injury case, negligence can occur in a myriad of ways. For example, a doctor who fails to provide an acceptable standard of care may be found negligent. In an auto claim, the person who was texting while driving and caused your motor vehicle accident is the negligent party. In a premises liability claim, such as a slip and fall, the owner or manager of the property may be deemed negligent for failing to take necessary steps to prevent the incident. Auto accidents are among the most common source of personal injury claims in New Jersey. One of the reasons for the frequency of injury lawsuits after motor vehicle accidents is the variety of ways in which these accidents can occur. For example, distracted driving is rampant in New Jersey and throughout the U.S. It can occur because a driver was texting, talking on the phone, applying makeup, eating, reaching for something, or using their navigation. Other types of auto accidents that may result in injuries include drunk driving, passenger accidents, motorcycle crashes, hit and run, cyclist accidents, hitting a pedestrian, truck accidents, or nighttime accidents when drivers are more likely to fall asleep at the wheel. A premises liability claim arises when someone responsible for maintaining the safety of a property fails to take proper care. One common type of premises liability case is slip and fall, which can happen in a parking lot, on the sidewalk, in a grocery store, at the mall, on an icy path, after a snowstorm, or due to inadequate security. The essence premises liability is that you are injured while on someone else’s property. If your injuries could have been prevented had the property owner or manager taken steps to prevent hazardous conditions on their premises, you may be able to obtain compensation. Product manufacturers are responsible for protecting the safety of consumers. When they sell defective products, manufacture dangerous medications and medical devices, failure to warn doctors or patients about side effects, distribute everyday items that fail to meet safety standards, or put faulty components in their vehicles, unsuspecting consumers are often left to suffer the consequences. A product liability claim is a subtype of personal injury in which the plaintiff is injured because of a defective or dangerous product. In these cases, negligent manufacturers and other responsible parties may be found liable for significant damages. For instance, our team of New Jersey Personal Injury Lawyers at Fronzuto Law Group recovered $14.5 million for a young boy who sustained permanent brain damage because of a defective youth baseball bat. How do I Determine the Value of My Injury Claim? In order to determine the value of a personal injury claim, it is necessary to consider a number of significant factors. Placing a monetary value on a specific injury case requires an understanding of what caused the accident, who the liable party or parties are, what injuries resulted from the accident, how the injuries have impacted your life, the long-term consequences of your injuries, how much (if any) insurance coverage there may be for all of the parties involved, and the New Jersey laws that affect your claim, such as comparative negligence. If you are wondering how much your personal injury case is worth, it is highly advisable to consult an experienced New Jersey personal injury attorney. Our NJ personal injury lawyers at Fronzuto Law Group are happy to sit down with you, review all of the details of your case, and discuss the potential compensation that may be available to you. We have recovered upwards of $25,000,000 in damages through jury verdicts and settlements in the last several years alone. To find out how we can help you and fight for maximum compensation in your case, call us today at 973-435-4551 to request a free case evaluation. In many cases, someone else’s negligence can result in significant injury, increased health care costs, lost wages, and pain and suffering. If you suffered injuries because of another party in New Jersey, one of the most important steps you can take is to talk to a qualified personal injury attorney. When you enlist Fronzuto Law Group, you are guaranteed the support, guidance, and aggressive advocacy of a team of highly skilled litigators. The selectivity of our firm is mirrored in our staff, as only those with extensive experience and attention to detail will suffice for our clients. While consistently engaging with you throughout the process of your personal injury case, you can rest assured that you will be kept abreast of any and all developments while we fight tirelessly for maximum compensation. Our strategic maneuvers are a collaborative effort among members of our renowned team and highly respected experts, with you as our number one priority. To discuss your personal injury case, contact our local New Jersey offices at 973-435-4551. The consultation costs you nothing and you will not spend a dime on our representation unless we obtain you a recovery. There are time limitations that may affect your eligibility to file a personal injury claim, so don’t delay in contacting an experienced NJ Personal Injury Lawyer who can explain your options.